The Granite Belt possess such natural beauty, an average of 320 sunshine days per year, a cool mediterranean climate there's plenty of reasons to be outdoors! Surrounded by five National Parks, an abundance of fresh produce, over 50 wineries, delicious cafes and exquisite restaurants and other local attractions to keep visitors of all age groups entertained over and over again, here is our favourite list of things to do! A very special feature of Diamondvale Cottages is having a beautiful walk on our doorstep. Leave the car at your cottage and walk the heritage trail into town for a coffee or lunch and enjoy the peaceful bushland, granite terrain and abundance of wildlife. Explore the rock pools for yabbies and other water creatures and then pick your favourite spot to sit and relax to the sounds of water rushing over the granite and the birds singing in the treetops. Best to do in the early mornings or late afternoons, 'Twitchers' will be specially treated and be able to tick off many must-see birds on their list. Only 300m from our driveway is the start of brand new trails, built by the Southern Downs Mountain Biking Club and Trailworx. The green trails are complete and perfect for children and beginner riders. The blue and black trails ready for riding are a technical rider’s paradise. The granite rocks famous in our region naturally create drops and jumps perfect for thrill seekers. There are other mountain biking trails in the region. Contact us for more information. Diamondvale's bushland setting attracts local wildlife, which make themselves very much at home amongst our own farm animals. Guests can regularly watch kangaroos and wallabies graze around their cottage, see various birds nesting in the treetops, feed our chickens and horses, and if they are very lucky, see platypus in our creek or a koala. The closest National Park and most spectacular, Girraween offers guests a choice of activities from a picnic down by the river, a swim in a waterhole, a stroll along the trails or hike to the top of ‘The Pyramid’ for breathtaking views. Children will enjoy boulder hopping, whilst the adults can relax in the day use area and make use of the excellent picnic facilities. Girraween is the best place to experience the granite formations that make this place one-of-a-kind in Australia and a favourite relaxation zone for locals. View the Park Map and brochure here. Climb Bald Rock, Australia’s second largest monolith rock behind Uluru, for spectacular views. A giant, (a term which still doesn’t capture its scale), Granite boulder bursting from the earth, it leaves all visitors in awe. It is an easy drive there, with a choice of two trails to the summit, a longer gentler walk or a short intense climb. The reward at the top is worth your time. View the Park Map here. Only a 40-minute drive from Diamondvale through peaceful farming countryside, Boonoo Boonoo National Park is a leisurely day trip. Once at the carpark, follow the path along the Boonoo Boonoo River to the Falls lookout. The grand finale of this track is the viewing platform that overlooks the fabulous Boonoo Boonoo Falls where, legend has it, Banjo Patterson proposed to his sweetheart Alice Walker. Over the sound of the pounding waterfall, Banjo was relieved to hear, or at least lip-read, an unmistakable ‘yes’. Retrace your steps to the junction and detour to the Rock Pools and enjoy a refreshing dip in a pool of your choice. View the Park Map here. An exciting alternative to exploring by car is by hopping on a bike. The Granite Belt has a variety of on-road and off-road bike trails to explore. Whether you want to bring your own bikes or hire locally, there are several options for you. 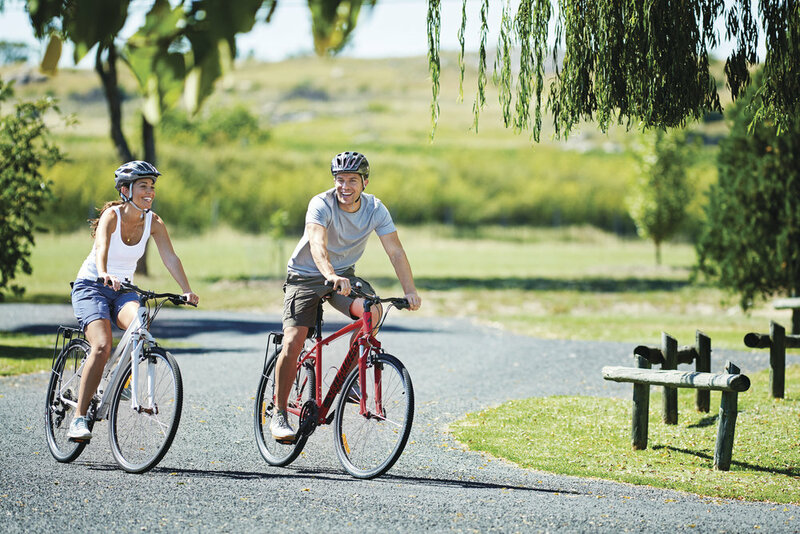 Granite Belt Bicycle Tours offers packages from hire only, self-guided, to fully-guided tours, including gourmet picnics in the vineyards with pick-up and drop-off from your accommodation. Best of all, if you get tired along the way, they will collect you from wherever you are and bring you back to your accommodation. Suitable for all age groups and fitness levels. Take the hassle out of navigating the region and working out who’s going to drive and step aboard a luxurious minibus to begin a fun-filled day sampling award-winning wines. The most popular tour is a ‘Group Day Tour’ starting around 10 am, returning between 4-5 pm and includes visiting 4-5 wineries and/or breweries, local producers, and a 2-course lunch at a winery. Private tours are also available. Book a wine tour with your accommodation online or give us call 07 4681 3367 to discuss your tour requirements. If you enjoy driving along country roads, and finding your own points of interest on the way. 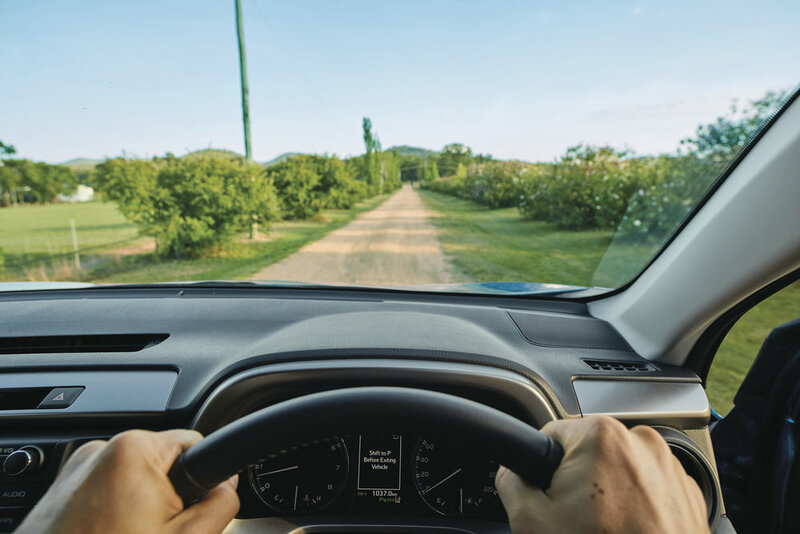 We have a choice of self-drive options to make navigating the region a little easier and to ensure you don't miss out on any highlights along the way. Upon arrival, we'll provide you with these self drive itineraries, whatever your interests maybe. We've mentioned the Let’s not forget true off-road riding for those seeking more of an adventurous thrill. The Southern Downs Mountain Biking Club has created several mountain biking trails from Green to Black, to entice riders of all levels. For those that a holiday means you must take a rod or two with you, it is absolutely worth packing them for your Granite Belt holiday. When the creek is flowing, you can cast a line straight into the creek from our property and have a crack at catching Yellow Belly Murray Cod. Alternatively, check out this information sheet on fishing in our region. Stanthorpe was once a tin mining town, hence the name Stannun (meaning tin) and Thorpe (meaning town). Mining was carried out along Quart Pot Creek and on Diamondvale’s grounds and artefacts from these days have been found on the property and proudly displayed in the Pioneer Hut. The suburb of Diamondvale was given its name because diamonds were found in the area. Fossicking today isn’t as popular as it once was, however, there are still plenty of opportunities to search for a variety of gemstones throughout the region.